Star Tools Pty Ltd is an Australian owned family business committed to supplying quality hand tools for the brick, render, concrete and building industries. The company was established in 1998 and was originally formed as a manufacturer of hand tools, it has evolved as leading tool distributor to building suppliers and wholesalers. The comprehensive range consists of Star Tools products as the original range continues to be manufactured, and to complement this you will find many established tool brands carefully sourced locally in Australia and globally including Europe, U.S.A. and Taiwan. Star Tools are committed in maintaining the strong relationships with their customers through the reputation of offering a comprehensive range of tradesman tools backed by professional service and support. Our 2018 20th year tools catalogue is complete. 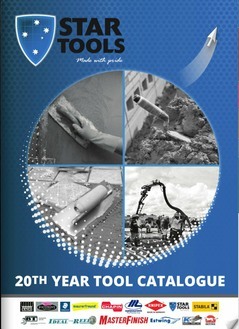 It has over 88 coloured pages packed full of all the quality tools that we sell. For viewing convenience Star Tools has produced the catalogue in various formats. The catalogue is available for viewing on the web as an E-Flipbook, or if you prefer, you may download a copy to your computer in either pdf document format or as a stand alone E-Flipbook executable file complete with handy section TABS on the side. Click on the catalogue cover below to view our catalogue online in E-Flipbook format. E-Flipbook executable file to place on your computer. 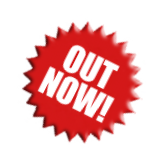 Click on the download button below to download our 2018 catalogue in PDF format.